Aluminium Anodizing - Covit - Global Solutions for the perfume and cosmetic packaging. A full automatic high-performance anodizing line with the latest technology available in the market. Artur Mas, President of the Generalitat of Catalonia, visited Covit's new facilities this passed May. The goal was to show public support for industry initiatives. Company - Covit - Aluminium components that add value to packaging. With over 150 years experience in creating metal parts and the most cutting edge and capable automatic anodizing line in the sector, Covit provides its customers solutions for their packaging projects. Covit - Global solutions for fragrance and cosmetic packaging - aluminium components that add value to your packaging with over 150 years of experience in stamping metal parts and the most modern and capable automatic anodizing line of the sector. One more time, Covit Luxe Technology will present its novelties at the Luxe Pack Monaco the next 27, 28 and 29th October of 2014, at Grimaldi Forum. (Hall Diaghilev, Stand DC10). On 14 and 15 of May 2014,COVIT Luxe Technology will present its new products at the fair Luxepack of New York, such as Zara for Him, Jaguar or its new Make Up line. Covit today - Covit - Global Solutions for the perfume and cosmetic packaging. Caps, Tops, Shrouds, Collars and other packaging accessories for perfumery packaging, essential accessories for spray pumps and dispensers, especially diffuser covers, threaded ferrules, shrouds and special components for cosmetics packaging, and more. This web solution was successfully delivered by WebPac. WebPac delivers high quality web solutions on time and on budget. After the analysis of their needs we prepare proposals to develop the product that our customers want. We are liable for the entire process from design to delivery of industrial production. The quality and compliance with agreements are our main concern. Deep drawing is a mechanical process with which we give the shape to the metal piece. We part from Aluminium sheet using special presses to give progressively the desired shape to the final product. In this global and active market Covit creates constantly new products and processes to be more capable and faster to fulfill the customers’ needs, demands and to achieve their new challenges. Flower by Kenzo, Escada, Cartier, Versace lipstick, Halloween, Ted Lapidus, Façonnable, Gel amarige, powder Versace, Bourjois, Mascara Biotherm. Since 1975, Covit has specialized in the production of aluminium components for products such as high-end perfumes and cosmetics which require both high accuracy and functionality. The company's focus is always on quality and service. 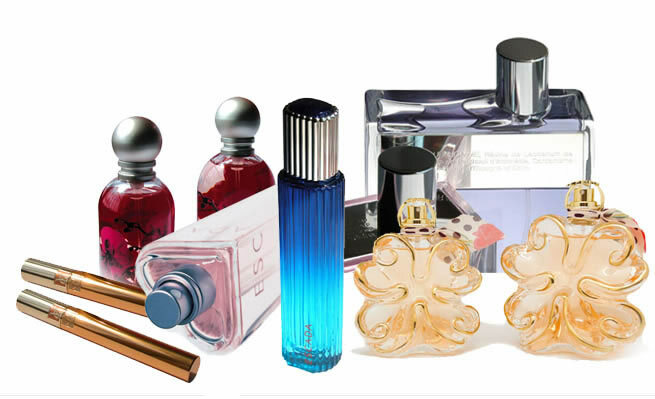 Job Offers - Covit - Global Solutions for the perfume and cosmetic packaging. If you like to join Covit, send your application by filling out the form. You can see the current offers. Covit has launched a fully automatic anodizing line, the newest and most modern on the market. Covit opens their door virtually to show the visitors the process of Design, Production and Distribution of their Metal Anodized Components. Quality and Environment - Covit - Global Solutions for the perfume and cosmetic packaging.